AMC has aired The Walking Dead Season 6 finale and is leaving fans guessing until next season about who met Negan’s baseball bat wrapped in barbed wire, Lucille. Who do you think it is? 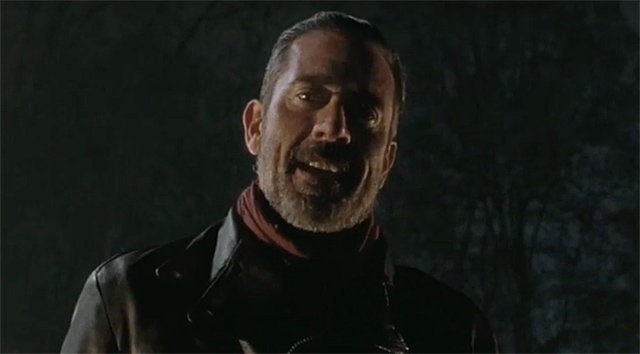 What did you think of The Walking Dead Season 6 finale? Let us know in the comments below! The Walking Dead stars Andrew Lincoln as Rick, Steven Yeun as Glenn, Chandler Riggs as Carl, Danai Gurira as Michonne, Melissa McBride as Carol, Sonequa Martin-Green as Sasha, Lauren Cohan as Maggie, Norman Reedus as Daryl, Lennie James as Morgan, Seth Gilliam as Father Gabriel, Michael Cudlitz as Abraham, Josh McDermitt as Eugene, Alanna Masterson as Tara, Christian Serratos as Rosita, Ross Marquand as Aaron, Alexandra Breckenridge as Jesse, and Austin Nichols as Spencer. If you missed an episode of The Walking Dead, or just need a refresher, be sure to check out our weekly recaps by clicking here. You can watch both a wrap up of Season 6 and that tense final scene below! Tags: Reviews, The Walking Dead, What Did You Think? !